See Chesapeake Invader by C. Wylie Poag. Princeton University Press (1999). The original Ashmore Magna (Bremo in Bremo Bluff) served as the background to the 1941 movie Virginia, starring Fred MacMurray and co-starring Madeleine Carroll and Sterling Hayden. The DVD shows as unavailable on Amazon — just as well, as apparently the DVD is a pirated copy of an old television broadcast, complete with commercial cuts. The plot sounds like a Virginia ripoff of Gone with the Wind. Too bad. I would have watched it just for the house. Ash Marine, referred to as an island because it can be cut off from the mainland of the Eastern Shore by tides, is a figment of my imagination. Real or not, it won’t be around too much longer. The average sea levels in the Chesapeake Bay are rising by about a foot a century — six inches due to global warming (remember that the Chesapeake flows into the Atlantic) and six inches due to the subsiding coastal lands. The loss of the nation’s largest estuary will also wipe out thousands of species of plants, fish, and animals. Lest you think I am being apocalyptic, you should know that at least 13 islands in the Chesapeake have already disappeared. Ash Marine, fictitiously situated between Tangier Sound and the lower Eastern Shore, is in one of the most affected areas. Richard would be wise to sell. See The Disappearing Islands of the Chesapeake by William C. Cronin. John Hopkins University Press (2005). Anyone living in Plano, TX, knows exactly where Cam and Laura St. Bride lived while they were married. I drive by “their” house every day on my way to work. The lifestyle of that particular neighborhood is accurately depicted in Brian Schneider’s thoughts in All That Lies Broken (yes, teens do drive foreign luxury cars to the public high school!). While numerous high-tech companies make their home in Plano, I did not base St. Bride Data on any one particular company, although I must admit that the St. Bride building is based on an existing building (no, not the “spaceship” — St. Bride Data isn’t that big!). Laura is correct that the Old Testament discourages any relationship between her and Mark when she quotes Leviticus 20 to her friends Roger and Terry in Chapter 4 of All Who Are Lost. We studied Leviticus during Catholic Biblical School, and I dazzled my study group by remembering exactly which chapter contained the prohibitions against certain sexual conduct. Of course I remembered — I’d had to look it up specifically for the story. As of Presidents’ Day in 2017 (2/20/2017), John Tyler, 10th President of the United States (1790-1862) had two living grandsons. That’s right — not great-grandsons, GRANDSONS. He fathered 15 children between two wives; his 13th child, Lyon Gardiner Tyler, lived until 1935. Lyon also fathered late in life and had three children, two of whom were still living in February 2017. Harrison Ruffin Tyler, Lyon’s second son, still lives today at Sherwood Forest Plantation, purchased by President Tyler in 1842. The James River Plantation, known to be the longest frame house in America (over 300 feet long), is open for tour. As stated in All That Lies Broken (and shown in the back story timeline), Richard Ashmore was born on October 2, 1964. Sharp-eyed English history buffs will recognize that day: it is also the birthday of the last Plantagenet king of England, Richard III. I am a long-time Ricardian, and I couldn’t resist giving my Richard the same birthday. Not only does the day tie together Richard III and Richard Ashmore, it is also the day (October 2, 1970 — see All Who Are Lost, Chapter 2) that Renée Dane Marlowe went missing off the coast of Ireland, an event that cascades through the next two generations. I thought this a fitting touch since Richard III has been tied to the disappearance of the Princes in the Tower for over 500 years, and from that disappearance came the Tudor dynasty and the religious and political earthquakes caused by Henry’s quest for a male heir and the eventual break with the Catholic Church. Setting Richard Ashmore’s birthday on October 2 caused several other birthdays to be set as well. Diana is six months younger, and Lucy is seventeen months younger, so their birthdays had to coincide with those time spans. Renée’s disappearance on October 2 also affected the date I picked for the birthdays of Laura (September 9) and Francie (September 10). Laura’s birthday on September 9 puts into motion Cameron St. Bride’s involvement in the event covered in All Who Are Lost, Chapter 3.
Who says history isn’t relevant? The relationship of Laura St. Bride and Richard Ashmore is unusual, but it is hardly unknown for Virginia. Martha Jefferson’s cousin, Ann Cary Randolph (known as “Nancy”), lived with her sister Judith and brother-in-law Richard in the early 1790s at a plantation called Bizarre near Farmville, VA (house no longer extant). In 1793, Richard Randolph (yes, they all had the same last name) was accused of murdering a newborn infant that Nancy presumably gave birth to and that he presumably fathered. They both stood trial for the murder, but Patrick Henry’s defense (yes, that Patrick Henry) won them a speedy acquittal after Richard’s wife Judith perjured herself on the stand and swore to her husband’s innocence. After all, no gentleman would do such a thing, right? And Nancy was a lady, so of course she was pure as the driven snow. And Judith? Would a gentlewoman lie on the stand? For the next three years, Richard, Nancy, and Judith all continued to live in the same household, a scenario that boggles the mind. Dinner conversation must have been interesting! Richard and Judith even had a second child. Richard died in 1796 under questionable circumstances (rumors of poison) and freed his slaves in his will. Nancy eventually bounced back from the scandal, which would raise eyebrows even today, stayed frequently at Monticello with her brother and his wife (Jefferson’s daughter Martha, who had testified at the trial), and eventually made her way north and married Gouverneur Morris, a Founding Father, after working for him as his housekeeper. Quite a lady. Quite a life. Kierner, Cynthia A. Scandal at Bizarre: Rumor and Reputation in Jefferson’s America. New York: Palgrave Macmillan, 2004. Crawford, Alan Pell. Unwise Passions: A True Story of a Remarkable Woman – and the First Great Scandal of Eighteenth-Century America. New York: Simon & Schuster, 2000. Bentley, Barbara. Mistress Nancy. New York: McGraw-Hill, 1980. Bloom, Robert. A Generation of Leaves. Ballantine Books, 1991. Walz, Jay, and Audrey Walz. The Bizarre Sisters. New York: Duell, Sloan and Pierce, 1950. Please look at the cover for the paperback for this on Amazon. It is typical of the “dime store novel” cover from the early 1950s and is just delicious! It was also published as a Harlequin romance. For all the lurid covers, the novel itself is excellent. Too bad it has been out of print since forever. Someone should clear the rights and publish it in e-book. I also found this brief synopsis online. For being one of the first great American scandals, there is precious little out there on the web. On a related note, Laura and Richard’s relationship does not fall within the bounds of consanguinity for Virginia or, indeed, for anywhere else. (I made sure of that before I started writing.) And, not to tip my hand too much, but I made very sure that Diana and Richard’s marriage is not a sacramental marriage in the eyes of the Catholic Church. In fact, Diana even makes reference to this in All Who Are Lost, Chapter 15, “Diana, Mrs. Ashmore”: it was years before I figured out why he and Peggy, both of them more Catholic than the Pope, encouraged a civil ceremony that they knew damn well was not valid in the Church. Of course, they were probably not the only ones breaking the law that weekend, or any other weekend, for that matter! For this book, I have had to study Virginia law, including case law, and Catholic canon law, in addition to all the other subjects! One thing about writing — you can learn the weirdest things. 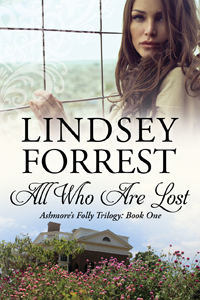 In Chapter 21 of All Who Are Lost, Diana makes reference to the initial fear that Laura and Francie had fallen prey to a serial killer, when in fact they had run away from Dominic’s house. “Serial killer” might sound like a far-fetched conclusion for Diana to immediately jump to, but in fact anyone living in the Tidewater at that time might have had the same fear about the fate of the two missing young girls. From 1986 to 1989, the Colonial Parkway, a 23-mile stretch of road that runs from Jamestown to Yorktown, was the setting for a serial killer who has never been caught. The Colonial Parkway Killer is thought to have killed four couples over the span of about three years. In fact, the third couple (whose bodies have never been found) vanished in April 1988, only two months before Laura and Francie left for San Francisco without a word. The missing couple’s car was located right off the Parkway. So the idea that two girls from Williamsburg who had vanished along with their car might have met this serial killer is not that unbelievable. Despite extensive investigation, including a cold case effort only a few years ago, no one has ever been tried for the murders. The novelist Patricia Cornwell wrote one of the early Kay Scarpetta books about a killer based on the Colonial Parkway Killer: All That Remains. 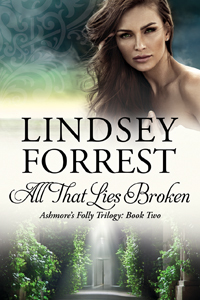 Because her book was set in the same geographical area, I did not feel that I could repeat the title in the trilogy, although it could have worked for Book 3 or even for the planned prequel novella. During Richard’s affair with Francie, detailed through Diana’s memories in All Who Are Lost, Laura lies to Diana about a trip Francie took to Monticello in February 1988, saying that she was the one Richard took up the mountain. She even mentions seeing the dome room. Later, Diana realizes that couldn’t have been right, since the dome room was not open for tourists, and the fire marshals wouldn’t even let tourists go up the stairs. That was true in 1988, and it was true on my trips in 2005 and 2008. 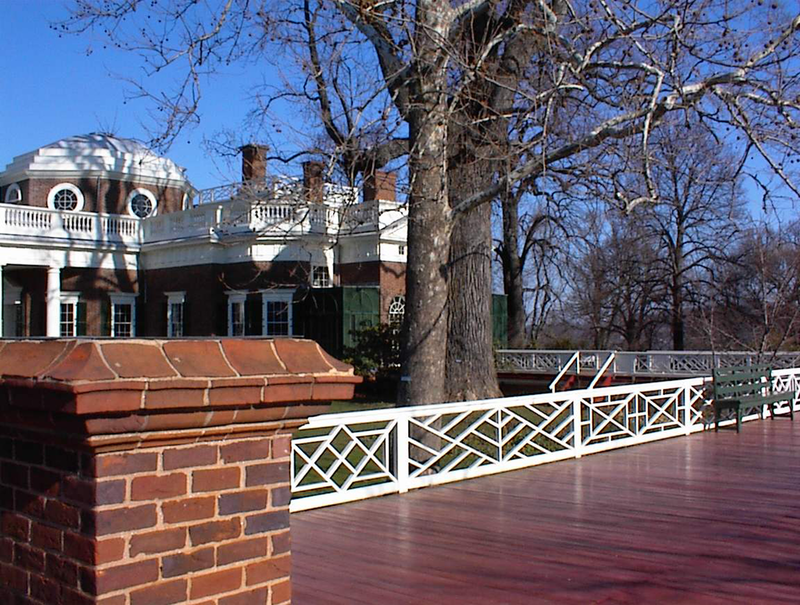 Luckily, the Thomas Jefferson Foundation now allows limited behind-the-scenes tours of the upstairs. These BTS tours are in addition to the regular house tours and are limited to 14 guests at a time. 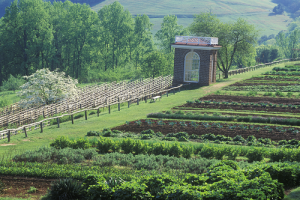 According to the latest bulletin from Monticello (I am a subscriber), you can now view the bedroom of Martha Jefferson Randolph (TJ’s oldest daughter), and the nursery where Priscilla Hemings helped to raise Martha’s children. As of this writing, you still cannot visit the dome room.